Dangerous Goods exist in common items we all carry from day to day, including perfume, cologne, even the batteries in our phones and watches! 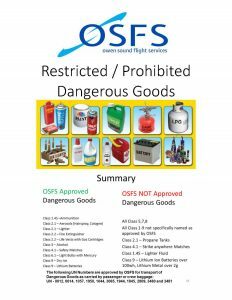 Please take the time to review our policies and restrictions on the transportation of Dangerous Goods before flying with us. Please click on the picture below to identify dangerous goods you may be carrying.